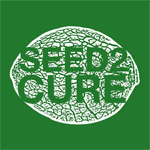 Seed 2 Cure is a source of education about cannabis oil. We have put together a combination of “how to” videos, radio shows, concerts, events, and video testimonials in an effort to share our experience, strength, and hope. Here you will find a connection to all that Seed 2 Cure has to offer. NuttyCo.com is a publication that features thoughtful conversation topics that focus on empowering women to explore their own journey with cannabis without shame or guilt. We connect readers with brands, products and retailers that support their journey with cannabis. 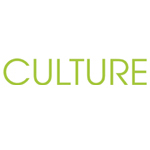 CULTURE Magazine was launched in 2010. They are a publication based in Southern California that keeps its readers up to date with the lifestyle trends and news within the cannabis industry. CULTURE places a focus on medical marijuana. Accordingly, they release their publication in Southern California, Northern California, San Diego, Michigan, Colorado, Washington, and Arizona to help localize it for advertisers.